Provencal Gothic church with wood paneling dating back to the 14th and 15th century. Also worth a look is the collection of 19th century paintings, which includes a fresco by George Roux that portrays the baptism of Christ. 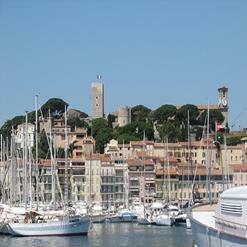 The church is situated on top of Suquet hill in old Cannes and offers visitors a fabulous view of the town and its bay.